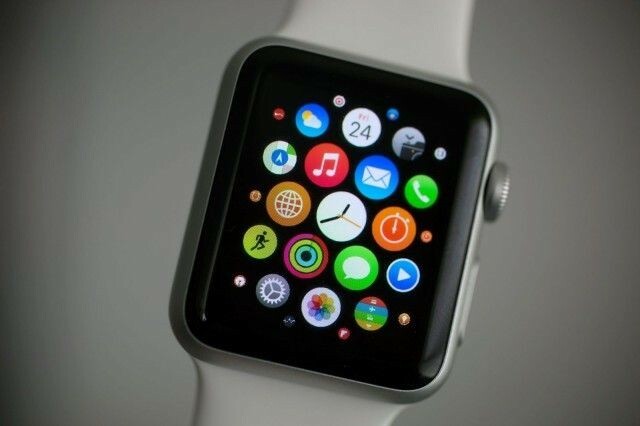 Apple Watch sales topped expectations, reveals Apple CFO. Apple didn’t officially announce any Apple Watch sales numbers during today’s earnings call, but according to CFO Luca Maestri, the company has already beat its own internal expectations. While the official number of units sold remains a secret, the Apple exec said the number of Apple Watches sold in the first nine weeks was greater than the number of iPhones or iPads the company sold in the same period after they launched. “We beat our internal expectations,” Apple CFO Luca Maestri said today in an interview with the Associated Press. Apple Watch sales are reported in the “other products” category in the company’s quarterly financial earnings statement. Revenue in that category increased from $1.6 billion in Q2 2015 to $2.6 billion this quarter. It’s hard to say whether the increase was thanks to strong sales of the Apple TV, but Luca says that the Apple Watch amounted to “well over” that $952 million increase. Maestri elaborated that the category also includes revenue from iPods and accessories like Beats headphones, both of which saw declining sales in the quarter. Analysts guesstimated sales figures for Apple Watch ranging from 3 million up to 10 million units. Apple will likely continue to conceal total sales numbers in its earnings report, but if the product line keeps beating expectations, it might not be too long before Apple Watch gets broken out into its own category. This entry was posted in Apple news and tagged Apple earnings, Apple Watch, Apple Watch sales, Luca Maestri. Bookmark the permalink. ‘Znaps’ Adds MagSafe-Style Connectivity to Your Lightning Cables. Touch ID built into iPhone display one step closer as third-party company announces new tech.